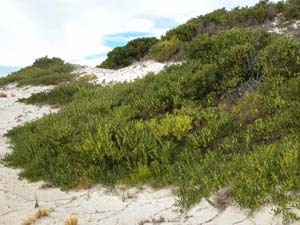 Acacia longifolia (formerly known as A. sophorae; false Boobialla or coastal wattle) is a very common shrubby acacia of sand dunes and other coastal areas. 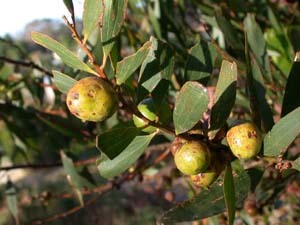 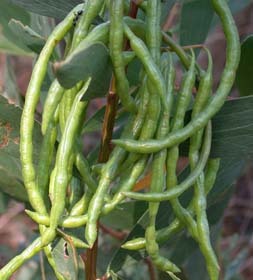 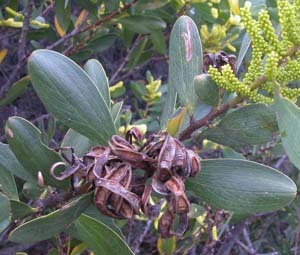 The phyllodes resemble those of A. melanoxylon, but tend to be wider and thicker, with 5-7 main veins instead of 3-5. 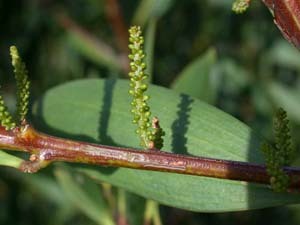 The flowers are in spikes.